We start the year with a new exhibition at one of the benchmark centres of contemporary art: the Museu Can Framis. 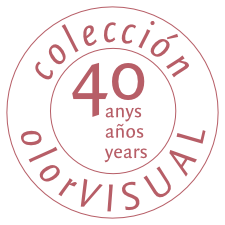 On show will be 11 works from the holdings of the colección olorVISUAL with international names such as Oleg Dou, Jannis Kounellis or James Clar and homegrown artists Pep Agut or Manel Armengol. This exhibition, curated by Daniel Giralt-Miracle, is one of a series of Fundació Vila Casas shows entitled The Art of Collecting. The World of Private Collections, started in 2010.